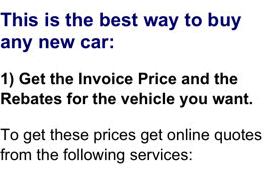 The Volkswagen Golf Sport Wagen invoice price and the true dealer cost are not the same. Note: The Volkswagen Golf Sport Wagen pricing report below does not include rebates or incentives. 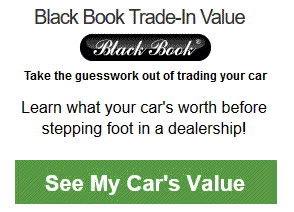 View Volkswagen Rebates and Incentives. The Golf name is becoming more and more familiar to car shoppers as Volkswagen continues its push toward more driver- and passenger-friendly SUVs. 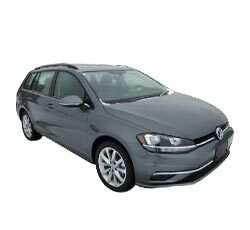 What makes the Golf SportWagen stand out is its elongated shape. Indeed, it's more of a station wagon than a typical crossover, but it certainly is drawing the interest of consumers. After all, a wagon is still a functionally logical choice for those who need plenty of linear cargo space, and when the rear seats are folded flat, these models best the most cavernous of mid-size SUVs. This model is available in just two trims, but that makes the task of comparison rather easy. The base trim comes loaded with standard features, and the uplevel version isn't all that more expensive. Below, the new 2019 Volkswagen Golf SportWagen is described in more detail. The base trim, known as the S model, offers most everything the buyer is looking for including available all-wheel drive. Standard features include alloy wheels, heated side mirrors, leather trim, power seat adjustment, and a long list of high-tech and infotainment hardware and software. Curiously, if all-wheel drive is chosen, one gets a few additional features such as steel wheels, heated front seats, and heated wiper nozzles. The SE gets larger wheels, 17-inch to be exact, a panoramic sunroof, LED headlights, and foglights. The interior is slightly upgraded in terms of upholstery and instrumentation. The 2019 Volkswagen Golf SportWagen base engine is a turbocharged 1.4L power source that's coupled to the buyer's choice of six-speed manual or six-speed, dual-clutch automatic transmission. The engine delivers 147 horsepower to the front wheels. If AWD is desired, the 4Motion technology comes into play. The engine is also larger, a 1.8L turbocharged four-cylinder rated at 168 horsepower. An eight-speed automatic is the only transmission available on the SE trim, and the SE isn't available with AWD. For those who need maximum acceleration power, the S trim and its available larger engine might be the way to go. Besides, the S trim is pretty well appointed on the interior, so one gets quite a bit of luxury plus the peace of mind that AWD brings. The 2019 Volkswagen Golf SportWagen is pretty nicely equipped for a vehicle in this price range. Standard on the base S trim are a leather-trimmed steering wheel, power-adjustable front seats, and 60/40-split folding rear seatbacks. There's a large center pass-through space for easy transfer of items to the rear seats. When the rear seats are folded, the cargo area can accommodate long items such as skis and boxed furniture. The SE adds on an auto-dimming rearview mirror, simulated leather upholstery, and a 115-volt outlet in the cargo area. The SE also gets the sunroof, but even though it's panoramic, it doesn't cut down on the headroom. Both trims offer premium materials, especially the soft, plush upholstery. The instrument cluster is laid out in a straightforward, functional manner, and all of the dials and gauges are oversized and easy to read. The Golf SportWagen also has very large side windows, and this results in excellent outward visibility. The front seats are among the largest in this vehicle class, and their correct combination of firmness and cushioning makes for pleasant long-distance travel. The base trim offers buyers a 6.5-inch screen display, Apple CarPlay and Android Auto smartphone app integration, Bluetooth, and VW's Car-Net-App-Connect. Buyers also get HD radio as part of the six-speaker sound system. There's a single USB port located in the front seating area. The SE adds on push-button ignition as well as keyless entry and ignition. Also standard are a larger, 8-inch screen display, a CD player, and satellite radio. There's an auxiliary audio input port, and in addition to the Car-Net app system, buyers also get the Car-Net Security & Service connectivity. Safety is a top priority with buyers. Not only does a full suite of safety systems help out with the insurance premiums, it also brings peace of mind when on the road. The 2019 Volkswagen Golf SportWagen comes with a full set of front, front-side, and side-curtain airbags, child seat anchors and tethers, and seatbelt pretensioners. Stability and traction control are also standard. Driver safety aids are included in the Driver Assistance package, and these include forward collision warning with automatic emergency braking, blind-spot monitoring, and rear cross-traffic alert. This package can be added to the S trim and is standard on the SE. The SE can be further enhanced via stand-alone options. Adaptive cruise control and lane keeping assist are available. The SE can also be ordered with automatic high beam headlights. This is where the SportWagen bests the Golf hatchback. When the split-folding seats are lowered, the rear cargo area has as much volume as most five-seat SUVs. The standard roof rails are a big plus. Most competing crossovers don't offer them on the base trim. For those who don't smoke, there's great news. Where the ashtray used to be on the older models, there's now a phone shelf. This is where one finds the aforementioned auxiliary jack and USB port. The 2019 Volkswagen Golf SportWagen is a real bargain, and it's perfect for hauling the family around town or across the country. The simplicity of just two trim levels makes it easy to figure out which version will suit you best. 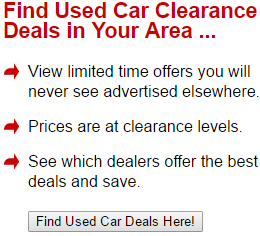 Schedule an inspection and test drive of this affordable offering from Volkswagen. 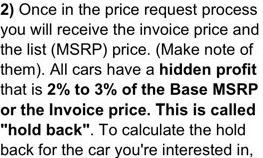 Example: Base Volkswagen Golf Sport Wagen invoice price + the dealer Invoice price of options + destination - Holdback = Total Dealer Cost. Note: All Volkswagen Golf Sport Wagen MSRP, invoice and dealer cost dollar figures above are approximate amounts. Prices are subject to change without notice.